If you have a garden, then you will already know just how much work has to go into it in order to get it looking how you want it to. Perhaps you are bored of the way that your garden looks and you want a completely new design. If this is the case, then you might be interested to learn about some different garden design ideas. Take a look below for some of the top garden design ideas at the moment. When it comes to garden landscaping, you can really let your creativity flow. There are so many different things that you can do to make the space your own. Here are a couple of suggestions to get you started. Small Trees – If you want to add something really special to your garden, then one great idea is to add some small trees. Small fruit trees such as apples and pears are a great option, or if you want something that is cheaper and easier to maintain then you could consider some small evergreen trees. 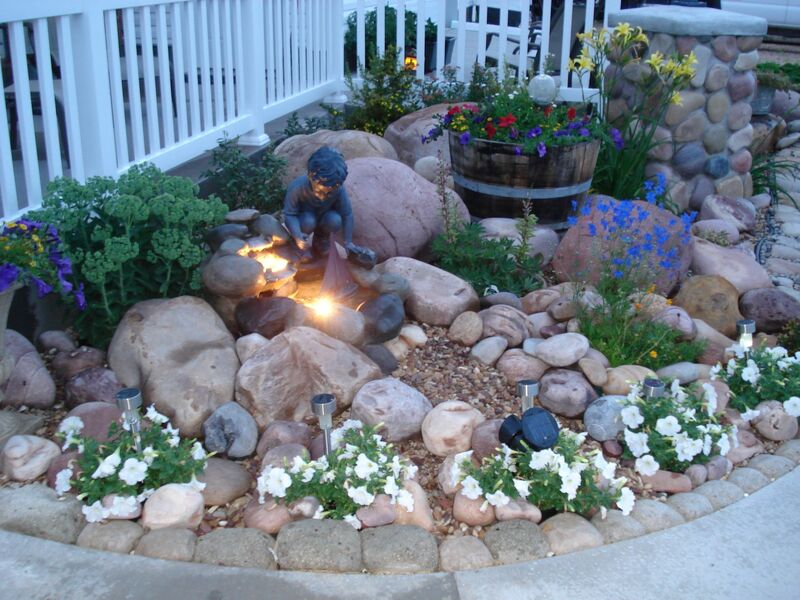 A Pond – If you have the space, then a pond can make a really nice feature in the garden. It doesn’t have to be huge and you don’t have to fill it with anything but if you put it in your garden properly then you can benefit from attracting local wildlife such as dragonflies, toads and frogs. A Wooden Shed – Most homes will have a concrete shed in the garden, but not all of them. 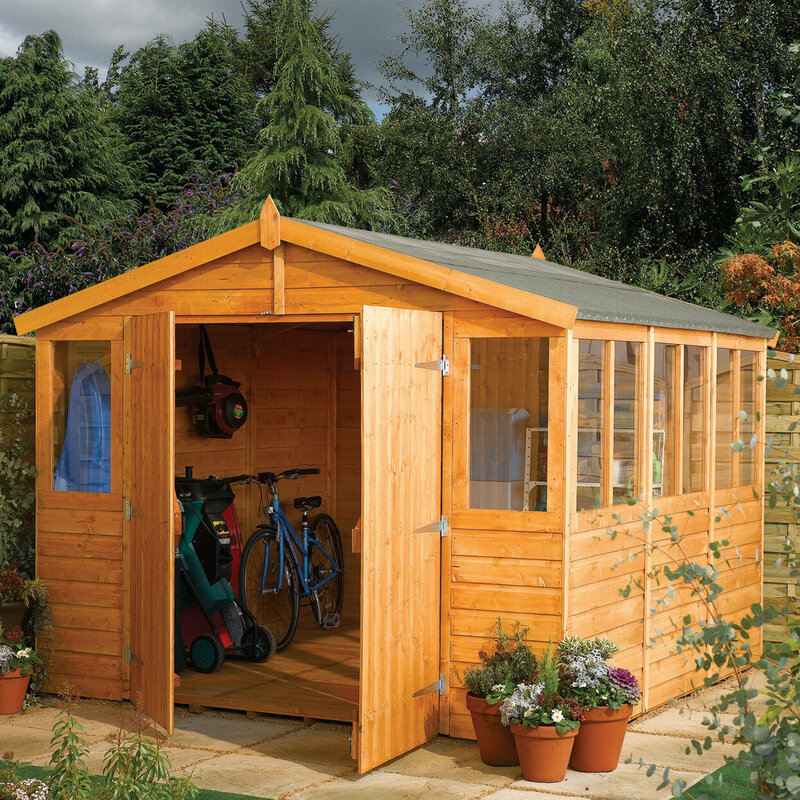 If you don’t have one in your garden then you might want to invest in a wooden shed. These can be great in terms of aesthetics but also for storing your garden tools as well. Vegetable Patch – If you want to enjoy home grown vegetables then there is nothing better than starting your own vegetable patch in your garden. Things like lettuce, potatoes and tomatoes are particularly easy for beginners to grow at home. Hanging Baskets – If you have plenty of wall space or fencing in your garden then one thing that you might want to add is hanging baskets. You can fill these with beautiful flowers that will grow back year after year. They are a cheap and effective way of brightening up your garden. Garden edging can really make a difference to the overall design, especially if you only have a small space to work with. Here are a couple of suggestions to give you some ideas of what you can do with your garden space. 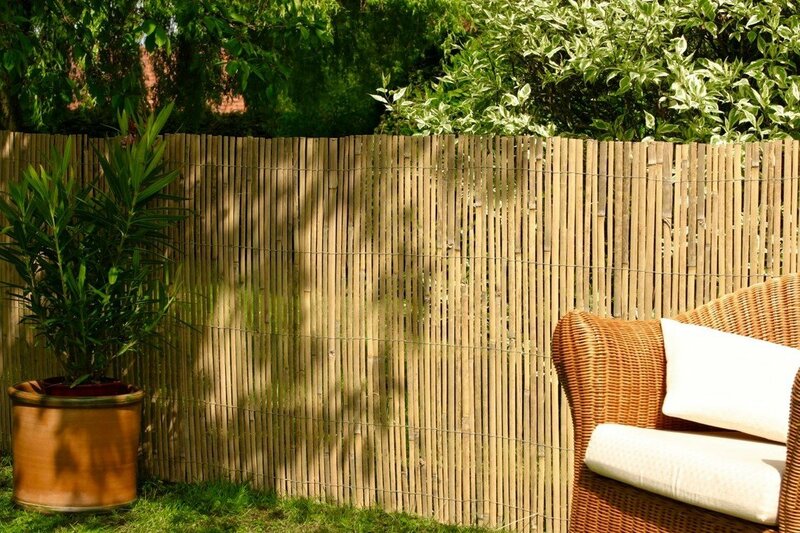 Bamboo Screening – Bamboo screening has actually become really popular in recent years. It is cheap and effective and looks great. One of the added benefits is that you can simply use it over existing fence panels without needing to buy new posts. Decorative Wire – If you have looked into cheap garden edging ideas before then you have probably seen some of the many decorative wire options that are available. These are easy to install, look really smart and very cost effective. Small Wooden Edging – A lot of the leading discount stores now stock this type of edging. It typically comes in rolls that simply need to be pushed into the ground around where you want your edging to be. This is an especially good option if you are lacking space in your garden but want the edges to be neat and tidy. Rock Edging – If you are able to dig up some large rocks in your garden or purchase them from elsewhere, then they can make a great edge around your garden. They can separate flowers from your lawn and look really traditional whilst still maintaining style. There are often people giving away rocks suitable for edging for free online so it is worth taking a look on local buy and sell pages too. When it comes to your garden border there are so many different options to consider. It all depends on what sort of design you want to go for. Here are a couple of ideas to get you started. Fence Panels – If you want something to add privacy to your garden, then fence panels are often the best option. They are easy to install and come in a variety of materials, colours and heights so you can really customise the look. However, it is worth keeping in mind that fence panels are often expensive, especially if you have a large garden. Rockery – If you don’t require fence panels but you want something special to add a border to your garden then you might want to consider adding a rockery to your garden. Making a rockery is a lot easier than most people realise you can fill it with beautiful flowers that will bloom year after year. Decorative Screens – If you already have fence panels installed around the border of your garden but you want something more decorative then you might want to consider adding decorative screening. Bamboo is an option as we have already mentioned but there are plenty of other decorative options that you could consider too. Hedge Borders – Hedge borders are great because they not only look lovely but they can also add extra privacy too. If you don’t want to start from scratch then there are plenty of garden centres where you can buy hedges that are already well established so if you want to make sure that your privacy is protected then this may be an option that is worth considering. If you have a fairly large garden then you might want to separate the lawn with some garden paving. This can add a really nice patio area for eating or relaxing in the summer. Here are some ideas to give you some garden paving inspiration. Slate – Although this is one of the more expensive options, slate paving slabs can look fantastic if they are laid properly. If you do want to install some slate paving in your garden then it is definitely a good idea to look online because you are much more likely to be able to get a good deal by doing this. Coloured Paving Slabs – If you want to add something a little different to your garden paving then you might want to consider investing in some coloured garden paving slabs. The good thing about these types of paving slabs is that you are able to create a mosaic effect which can look fantastic if it is done properly and you can really get creative with designs. Basic Paving Slabs – If you are working with a tight budget, then you can still install some paving in your garden by investing in some basic paving slabs. 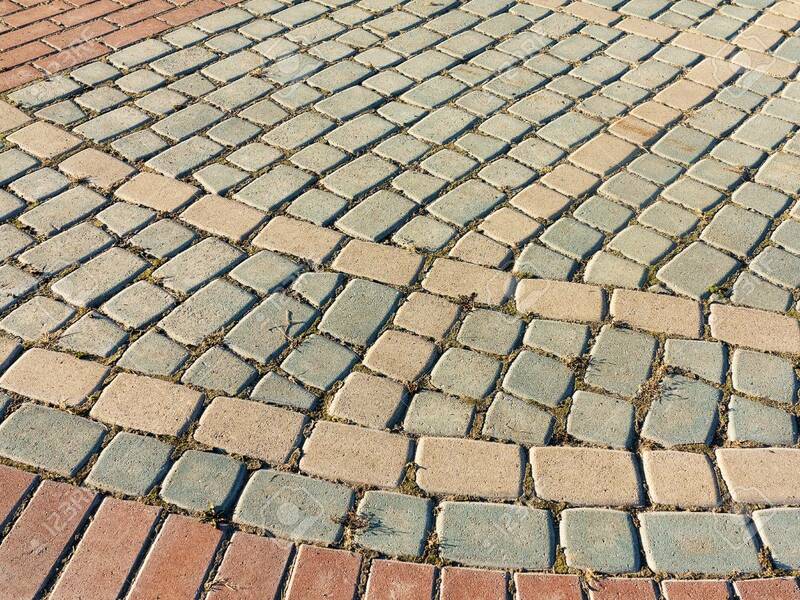 These are limited in terms of colour and material, but they are a good option if you do want a paved area but you don’t want to spend a fortune on paving slabs. If you have walls surrounding your garden then there are plenty of things that you can do in order to brighten them up and make them look more colourful and interesting. Here are a couple of suggestions that you might want to look into. Climbing Plants – One of the best things that you can do, if you want to add some colour and life to the walls surrounding your garden, is to add some climbing plants. There are so many different types and some of them are incredibly colourful. Plants like honeysuckle look fantastic. If you can, you should add a trellis to the top of the wall too add more privacy and encourage the plants to grow along it. Hanging Baskets – Another great idea for the walls surrounding your garden is to add hanging baskets. There are plenty of different types of hanging baskets that you can buy these days. You can either start them from scratch or you can invest in some already established baskets, there are endless options. Bird Feeders – Finally, it is a good idea to consider adding some bird feeders to your garden walls. These are great because they will attract all kinds of garden birds to the area as well as add something interesting to the boring walls. You can either make them yourself from scratch or purchase them online where they are fairly cost effective. If you are lucky enough to have a large garden space in your home then you might want to consider your garden canopy options. Garden canopies not only offer extra privacy but they also provide a great way of getting some shade and relaxing during the summer. Here are a couple of options for consideration. Umbrellas – If you don’t have much space in your garden, then the best garden canopy option to consider is some umbrellas that are specifically designed to add shade. There are some very inexpensive options available online so these are worth considering. 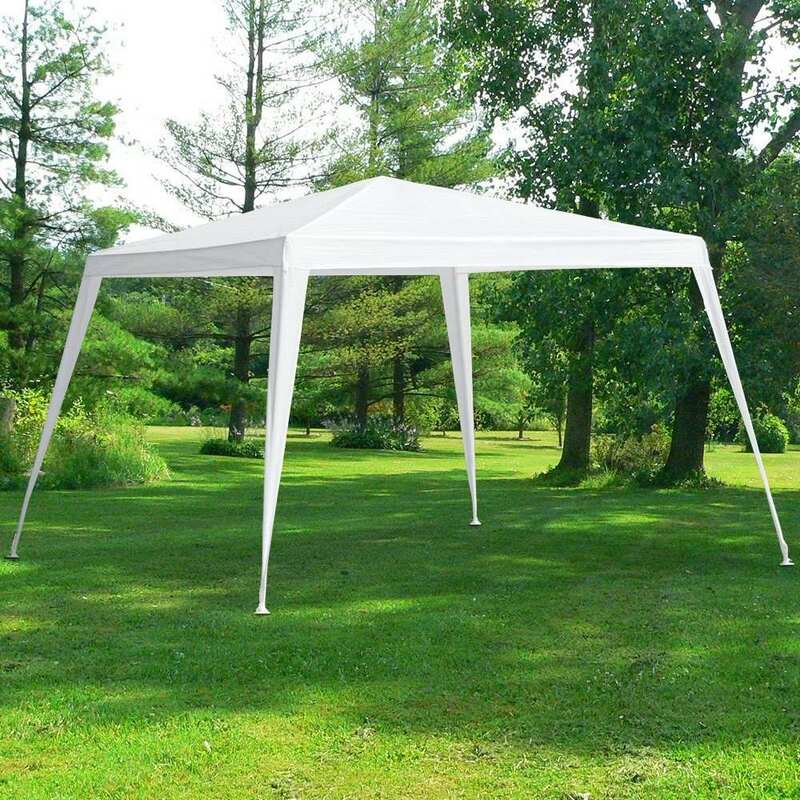 Gazebo – If you want something that you can use year after year that will be great for the family and entertaining then you might want to look into buying a gazebo. They are easy to set up and they can be packed away again once the summer season is done with so that you can use them each summer. Shade Trees – If you are not bothered about immediate canopies and you want something that is going to last for years then you might want to look into planting some shade trees. There are plenty of different types that you could consider. By planting them now you can watch them grow and then benefit from the shade in years to come. Again, if you have plenty of space in your garden then it is definitely worth considering installing some decking to provide a nice area to sit during the summer. Here are a few suggestions. Planting Boxes – One of the best things about installing decking in your garden is that you are able to install planting boxes around the outside of it too. These planting boxes are great for adding some colour and life to your decking area. Decking Furniture – When you install garden decking, you can also benefit from decking furniture. If you go to your local garden store then you will see that there are plenty of options to choose from. However, your best option is going to be online because the prices are far cheaper. If you are planning on installing a patio area in your garden then you will already be thinking about the different options that you could consider. Think about the different options below to see if any of them appeal to you. Fencing around the Patio – If you want to separate your patio area from the rest of your garden then you could consider adding small wooden fencing around the border along with a gate. This will provide you with a totally separate area where you can add patio furniture so you have the perfect place to relax in the sunshine. Borders – Again, if you want to make sure that the patio area is separate then it is a good idea to add some borders around some of it by planting flowers and small bushes. As they grow they will add something special to your patio area. As you can see, when it comes to garden landscaping ideas there are so many different ideas to consider. Hopefully the ideas listed above will help you to come up with your dream garden.